They say they want building work to start at the end of next season. Derby County host local rivals Nottingham Forest tonight in the Championship with a lot at stake. Forest midfielder Adlene Guedioura scored a long-range effort, but West Brom hit back after a spectacular strike by Matthew Phillips. As Nottingham Forest and Derby County prepare to go head-to-head this weekend, we've spoken to two former players to get their thoughts. Aitor Karanka has been appointed as Nottingham Forest's new manager on a two-and-a-half-year contract. It follows a 1-0 home defeat to Sunderland which leaves Forest in 14th place in the Championship. Northampton Town have signed former Nottingham Forest midfielder Lewis McGugan on a short-term deal until January. The 28-year-old, who has also played for Watford and Sheffield Wednesday, moves to Sixfields on a free transfer. McGugan has been training with the Cobblers for the past few weeks and has impressed manager Jimmy Floyd Hasselbaink. "He is an attacking, creative player who can make chances for others and he offers a goal threat from midfield, which is important for us," Hasselbaink said. Nottingham Forest's Academy Manager, Gary Brazil, has signed a new long-term contract with the club. The striker scored 30 Championship goals in 47 starts for the Midlands club. 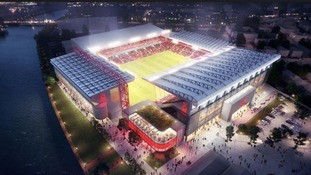 What can Forest fans expect from the new owner?